Florian Kuplent has one of the most diverse backgrounds in brewing you’ll find in today’s modern craft beer industry. Originally from Germany where he worked in breweries across Bavaria, Belgium, and England, Florian is now a Co-Founders and the Brewmaster at St. Louis’ Urban Chestnut Brewing Co.
Urban Chestnut brews under their unique philosophy of “Beer Divergency,” creating a lineup of beers that pay homage to old-world brewing techniques and styles (their “Reverence Series” of beers), as well as giving them license to experiment with new ingredients and flavors (their “Revolution Series”). In this episode, we dive into a mixed lineup of classic lagers and new-age brews, while Florian takes us through the history of Urban Chestnut and his own brewing career. And yes, that does include a discussion about the STL-based macrobrew behemoth: Anheuser-Busch. Prost! 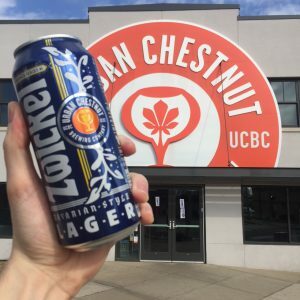 Urban Chestnut is one of the first breweries that kicked off the current craft beer boom in St. Louis when they opened their doors in 2011. Florian and I met up at their 2nd location in St. Louis’ Grove neighborhood, which is a lofty, urban warehouse-turned-bierhall. They are best characterized by their mutual focus on both classic, old-world style beers (Bavarian Lagers, Weissbier, etc.) and experimentation with new styles (American IPAs, Chestnut Ale, etc.). In addition to their St. Louis locations, they even have a small brewery amidst the hop farms in Germany as well. Florian has nearly 2 decades of experience in the beer industry. He started at a local brewery in Munich as an apprentice, earned a degree in brewing science, and worked in new beer development for Anheuser-Busch before starting Urban Chestnut in 2010 and 2011. 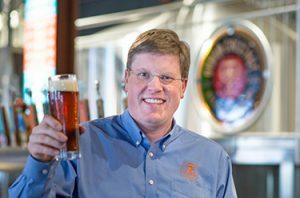 “Beer Divergency” is Urban Chestnut’s unique philosophy toward beer. Their “Reverence” series focuses on traditional beer styles, while their “Revolution” series is focused on American-style beers and experimentation. Having worked for Anheuser-Busch, Florian shares some of his perspectives on “big beer” and the lessons he’s learned working for both macro and microbreweries. 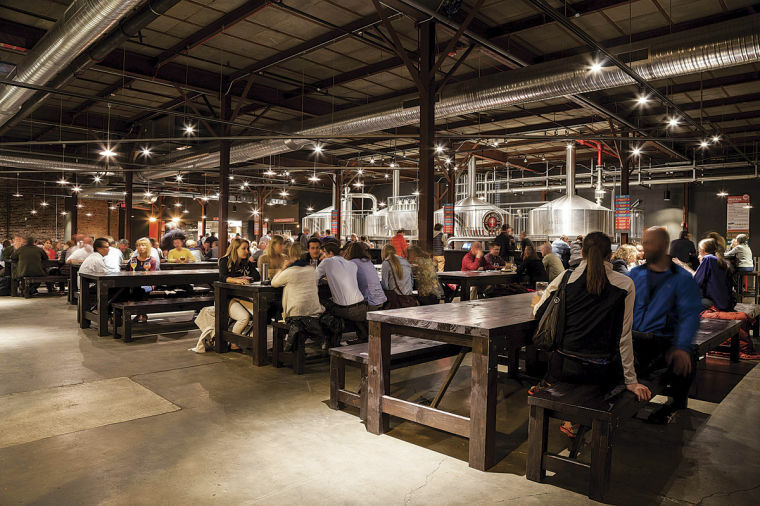 We share our mutual perceptions on St. Louis’ beer scene, home to a large array of breweries providing a very diverse range of beers (possibly more so than you’d see on the U.S. coasts). Florian tells us what it’s like to experience the culture of drinking in local pubs and breweries around Europe. 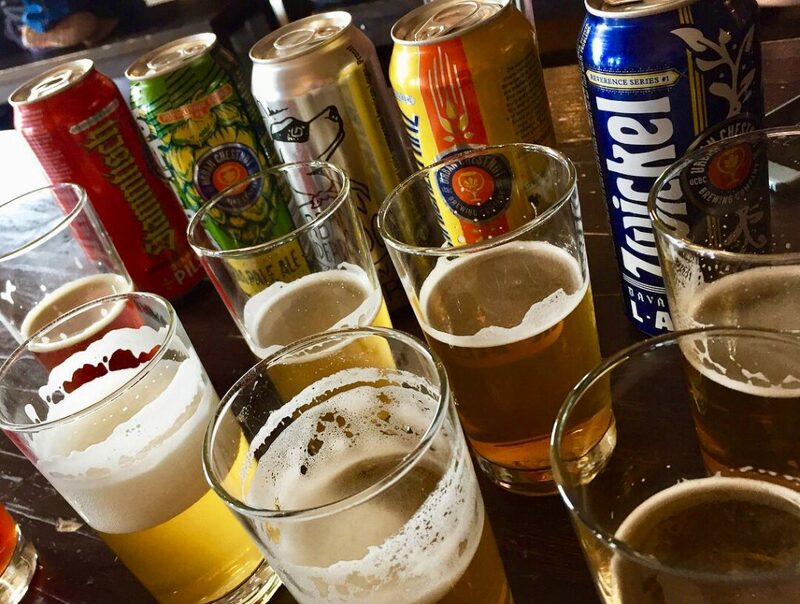 For drink recommendations around St. Louis, check out the neighborhoods! Central West End, Soulard, and many others are home to lots of local bars, and every neighborhood has its own flavor. 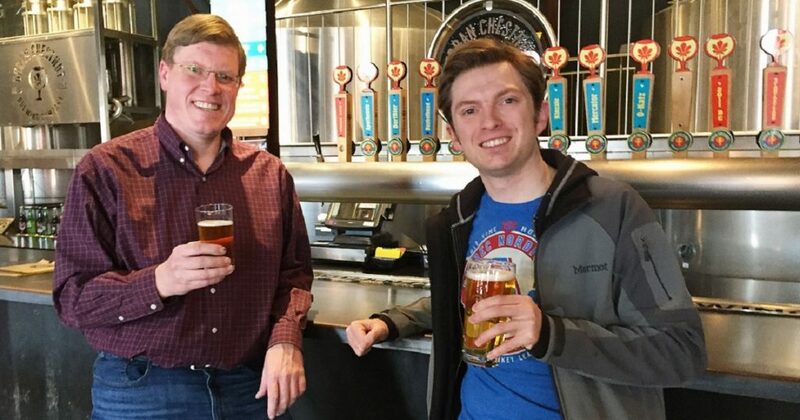 Urban Chestnut’s most recent addition to St. Louis was the opening of their pilot brewery across the street called the Urban Research Brewery (U.R.B.) where they serve flights of experimental brews that guest get to rate, along side New York-style pizza-by-the-slice. Urban Chestnut also owns a small brewery in Germany – Urban Chestnut Hallertauer Brauerel – located in the small town of Wolnzach, right in the middle of Bavaria and the world’s largest hop-growing region. If you’re there, don’t miss the local hop museum, and a neighboring restaurant that makes some great German food. Stammtisch – A German term for “the locals tables” found in many European bars. As such, a “stammtisch” is an informal gathering where folks will meet up at the same spot on a regular basis for a conversation. This sessionable pilsner (with a subtle noble hop character) is meant for such an occasion! Schnickelfritz – A term used by German parents and grandparents that essentially means “rascal.” This Bavarian Weissbier is made with malts imported from Germany (as is done with many of their beers). Floral, banana scents characterize this brew. STLIPA – A double IPA which has a dark copper appearance and a thick, viscous mouthfeel. It’s an excellent take on a West Coast-style IPA. To keep up with what Florian and the gang are up to, make sure to follow them on Twitter, Facebook, and Instagram at @UrbanChestnut. Urban Chestnut’s Grove Brewery & Bierhall is located at 4465 Manchester Ave, St. Louis, MO 63110. Taproom hours are 11am to 10pm Mondays, 11am to 11pm Tuesday through Thursday, 11am to 1am Friday and Saturday, and 11am to 9pm Sundays. Don’t forget to check out their U.R.B. (Urban Research Brewery) located right across the street for flights of their latest concoctions, or their original Midtown Brewery & Biergarten.